Way to go team !!!! 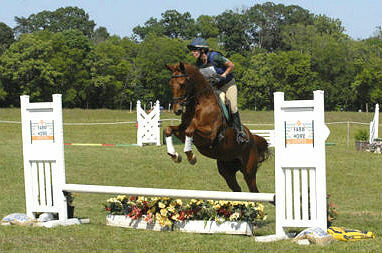 Bidawee Farm’s horses and students had a strong and successful finish for the 2012 show season !!! Ethan and I started out October having a fantastic outing at Moriah Farms jumper show, coming home Reserved Champion in the modified jumper division. 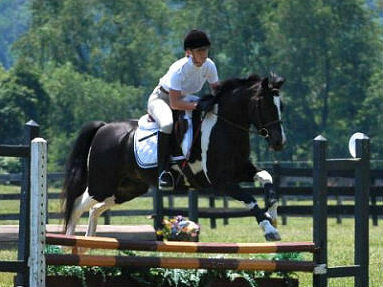 Moriah Farm has friendly people, good footing and wonderfully bright jumps to school the babies at. I would highly recommend going for a visit if you haven’t already !! 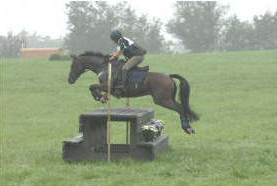 October 4th gave us a chance to gallop and jump over some very solid XC fences!! Unfortunately, pilot error caused a “TE” on course and we were not able to finish, but Ethan felt strong and more solid than ever. Next up for Bidawee farm was the Morningside CT’ October 25th. Ethan finished 2nd in the training division on his dressage score and Carla Rollins rode Gunnar to bring home the 3rd place ribbon !! KFHT provided students fun close to home !! Lauren Hammer and Bidawee’s Skipper D Do rocked their division winning the dressage phase with a 33.5, had clean Show jump and added just a few time penalties on XC to finish in 2nd place !!! Carla Rollins won her division on Gunnar bringing home the blue for team Bidawee !!! 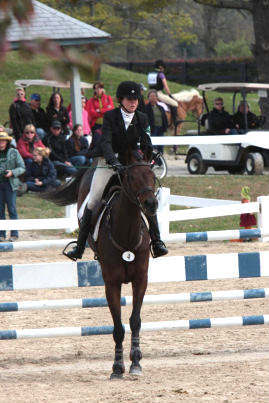 And Donna Dugas and Just in time put in two good phases but decided to withdraw before XC and save it for another day. CDCTA HT was a blast. 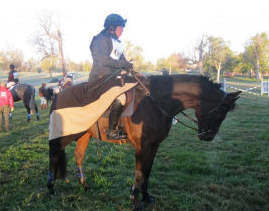 Bidawee farm’s students, family and friends showed their support for the organization by volunteering as dressage scribes, xc judges and holding down the fort for the x-c schooling day on Monday. Ethan finished strong in his final training level division of the season… So proud of all this horse has accomplished this year. 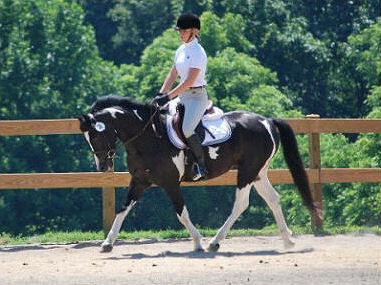 He scored his highest dressage marks to date, taking the lead with a 28.2. Unfortunately two rails came down in show jump and he finished 3rd in the very competitive division after a clean and fast XC run !! Ethan also won The Jockey Club incentive award for the Highest placed OTTB which included great prizes and a check for $100.00 !!! 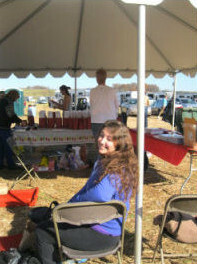 Lauren relaxing after a long day of service to the club. 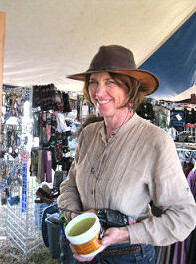 Nancy Covert enjoying some shopping! Bidawee Farm students Lauren Hammer, Carla Rollins and Donna Dugas all had a great time showing at Morningside this weekend, bringing home lots of pretty ribbons. Well done everyone!! A huge Thank you, DeAnna and Rebecca, for the ringside support!! The summer and hot temperatures are in the past and fall, my favorite time of year, is finally upon us. Lauren Hammer and My pony Skipper have been having a blast doing the combined test at the Fantastic new facility Morningside in the Plains Va.They have completed two at Baby novice and will be moving up to do their first Beg novice this week !! 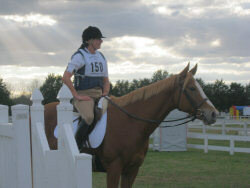 Ethan made a successful move up to Training level and is figuring out what it takes to be a “real event” horse. He has risen to the occasion and put in three stellar outings at some very tough area two courses this fall. 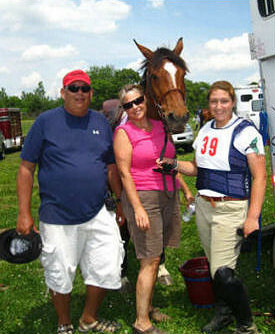 Gunnar and Carla Rollins’ daughter Jessie have had a fun summer competing at some local CT tests. But now it’s time for Carla to have some fun!! 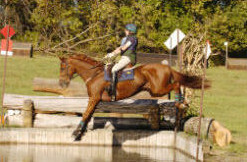 Gunnar is back in training at Bidawee farm !! 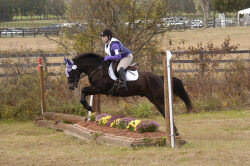 Carla’s recent competition’s include a 2nd place finish at Elysian Hill Horse Trails. 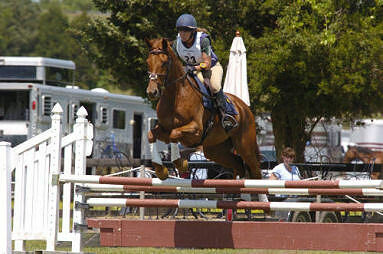 And last weekend a 1st place WIN at Touch Point Farm’s CT Way to go Carla!! I hope everybody is staying cool in this very hot July weather we’ve been having. 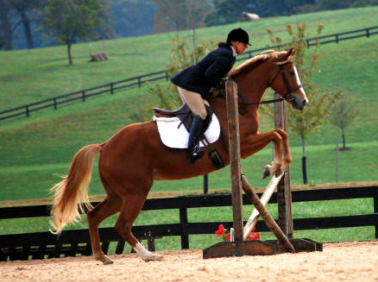 Lots of fun and fabulous things have happened here at Bidawee farm this past spring! Here are just a few of the highlights !!! 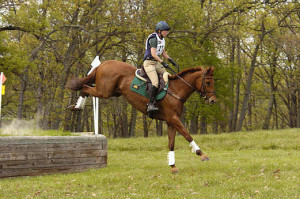 Lauren Hammer and her Holsteiner mare, Lark, completed their first horse trials at Elysian Hills and brought home a fourth place ribbon after only four months together as a team – well done! 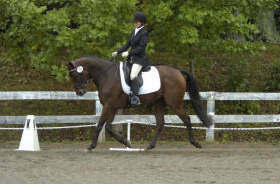 Gary and Amy Coppage’s four year old, Integrity, is proving that he wants to be an event horse; he competed and finished in fourth place at the Highland of Loc Moy in the beginner novice division. We here at Bidawee are grateful for the Coppage’s of www.grcphoto.com continuing support and sponsorship. 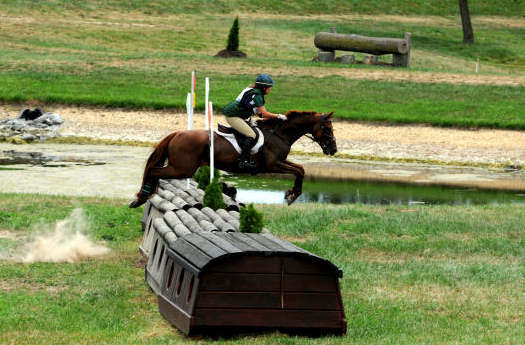 Katie Ryan and Al, now known as “Katie’s American Dream,” of USEA’s Area V have continued to solidify their partnership, competing in several Beginner Novice and Novice events and improving their scores with every outing. We can’t wait to see more of their successes in the fall! 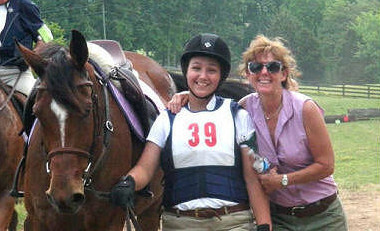 Melissa Lee has joined our team, bringing over several nice horses to take lessons on – hopefully, she will be hunting with us this fall. 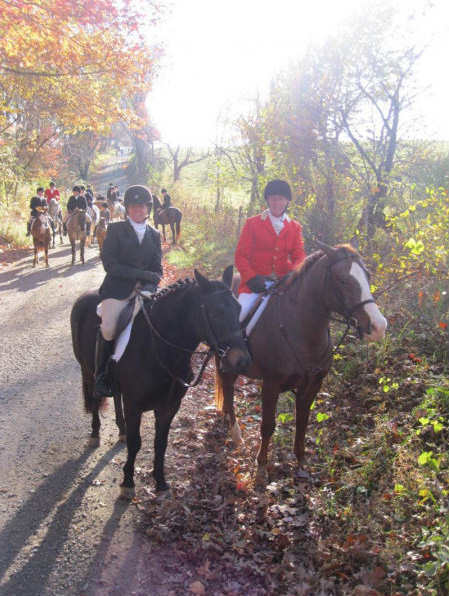 Warrenton Hunt trail rides begin July 21st. 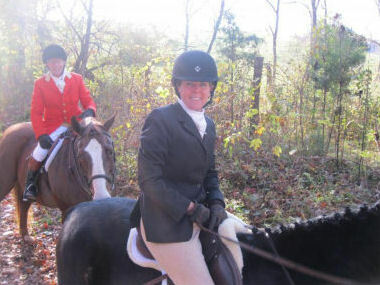 Donna Dugas and her new hunt prospect, Just in Time, who we found outside Penn National Racetrack this spring, continue to prepare for a full fall of hill topping. 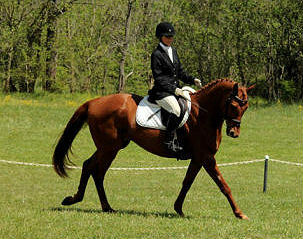 Laurie Knight also purchased a new equine partner, Chessie, that she hopes to hunt this fall. Mickey and Ethan both worked hard this spring and are on a well deserved vacation until the temperatures cool down a little..
Bidawee farm is lucky to have a host of fantastic sponsors. We are thankful for their unwavering support every day. 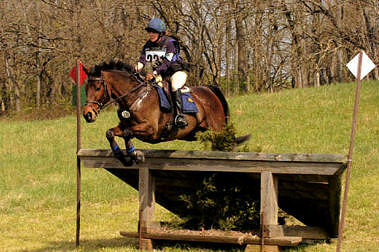 We would like to extend a special welcome to our newest sponsor, CWD Sellier. We are thrilled that they have joined our team and look forward to working with them closely. 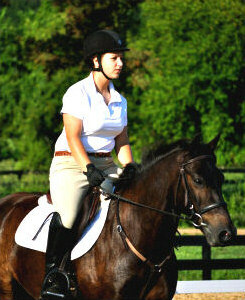 We are excited to be riding in their superior tack products, including a wonderful custom monoflap saddle. Check out their web site on my home page. Finally, one of our sponsors, 24 Carrots Farm Supply, has livened up our riding arena with some beautiful custom jumps, a new facet of their business. 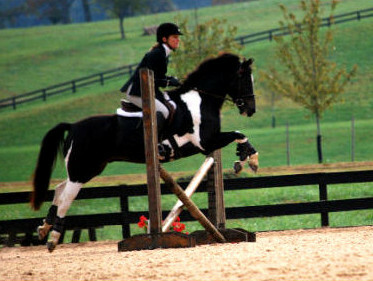 These jumps are handmade, sturdy and anything but boring! 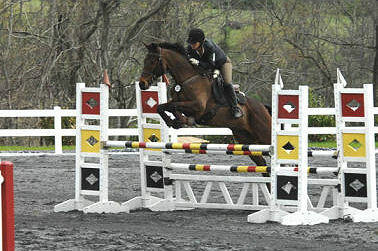 You can see samples at www.equutopia.com under the 24 Carrots tab. Hope everyone is enjoying their Summer and I look forward to seeing everyone soon. Be sure to check in on the web for the latest up to date happenings!!! 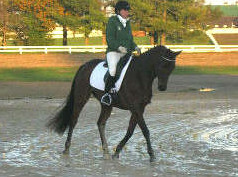 Integrity completed his first Horse Trial finishing in 5th place on his dressage score of 36.1. Gary and His “mom ” Amy of GRC photography couldn’t be any more pleased with his great willing attitude and his eagerness to learn !!! 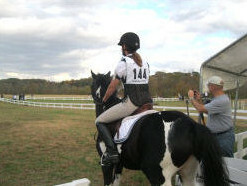 Lauren Hammer and Lark successfully completed their first Horse trial bringing home a 4th place ribbon in their Division. 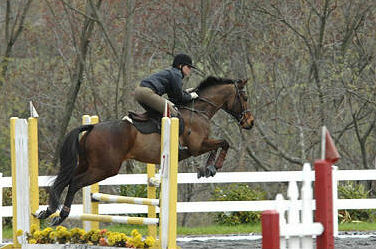 Mickey and Ethan both were fantastic competitors at the very tough MCTA HT this past weekend. 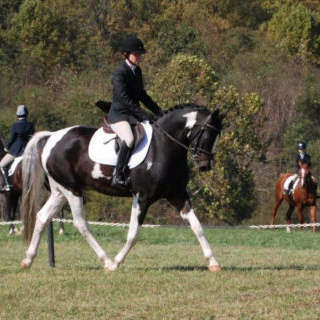 Ethan put in a good dressage test with a score of 38.0 in a VERY competitive Novice Horse Division and was foot perfect in the X-C phase but had a couple of green moments in stadium. 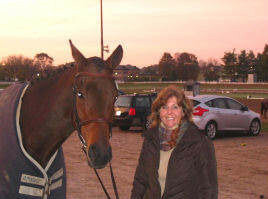 Mickey won The Highest Placed Off the Track TB Award from the Jockey Club in his Preliminary division !! 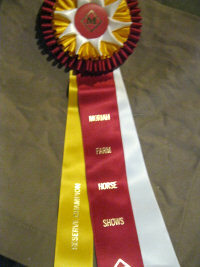 And bought home a blue ribbon for his efforts… A huge thank you goes out to Lauren Hammer for her help this past weekend. Her help is priceless, and we couldn’t do it without her. 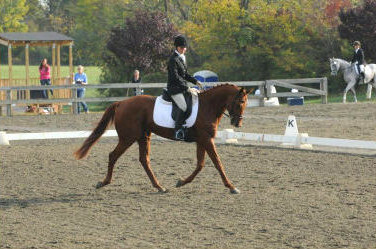 A Huge round of applause goes out to Lauren Hammer and Lark for taking home a 2nd place ribbon. 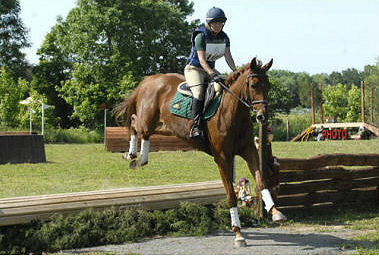 What a great way to start the show season. 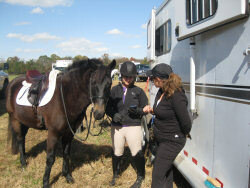 Mickey put in a great dressage test and a clean XC round in the open preliminary Division. 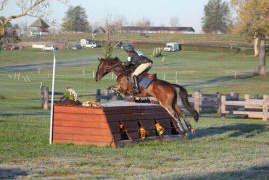 Mickey and Ethan were FANTASTIC this weekend at The Highland of Loc Moys Combined Test in Maryland. 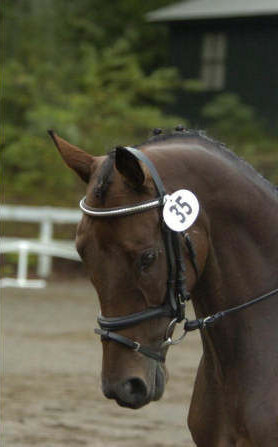 Ethan is finally showing signs of growing up, putting in a fabulous dressage test, with a score of 25.5 in the BN B division. WOW. 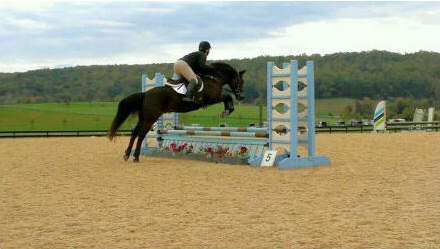 With aclean show jump round he finished in 2nd place. 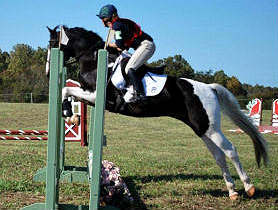 He would have won but we had a few time penalties in the jumping phase. 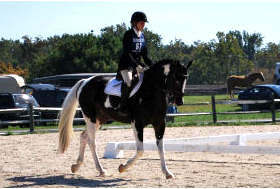 Mickey was also a star in the Open Preliminary divisionwith a dressage score of 32.3. 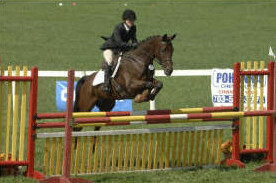 He put in a great effort with a fast show jumping roundand only one rail down!!! Mickey finished in 3rd place. And a HUGE thanks goes out to Lauren Hammer, my fantastic working student, who kept things running smoothly this weekend with all her hard work and dedication. 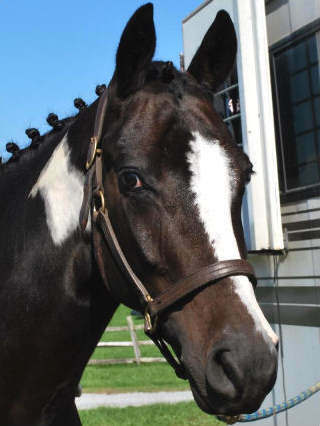 A Huge congratulations to The Hammer family on their new equine addition, Lark! I can hardly wait to see what wonderful things Lauren and her new partner accomplish together! 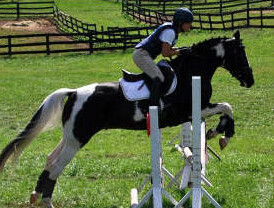 CDCTA hosted a Combined Test at Morven Park March 17th and both horses were ready to go, Mickey finished 5th in the OP division and Ethan also finished 5th in his BN division. Stay posted for more spring results at Bidawee farm !! 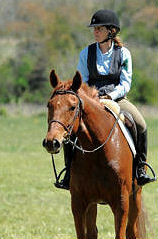 Hunt season is now in full swing and Skipper is turning out to be the perfect hunt pony. 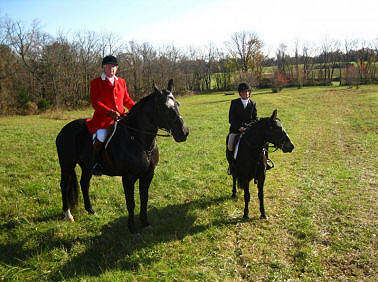 Bidawee farm would be happy to take you or your horse out in the field to experience the thrills of hunting. 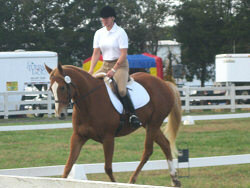 Sharon is also available for conditioning rides or will be happy to tailor a program to your specific needs. WOW What a season !! Mickey, the crew and I arrived home late Sunday evening from the 5 day Journey west to compete in our second * star of the season !! 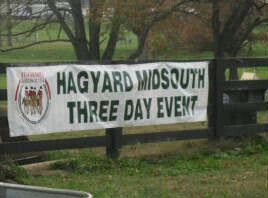 We arrived at the Midsouth Challenge in Kentucky after a 9 hour drive in the pouring rain Wednesday. WET and COLD was the forecast. It steadily rained for the next two days with temps not rising much above forty degrees. Luckily the sun made an appearance Friday morning just in time for my dressage ride and Mickey put in a good test with a score of 58.4. Unfortunately, I made an error that added two points to our total. XC morning came with frost on the ground and fog that wouldn’t lift. There was a 45 minute delay for the start .. Mickey handled the delay great and stayed focused to jump clean around the very tough * star course … 49 horses started the * star …there were 11 eliminations and of the 38 horses that crossed the finish line only 20 had fault free jumping rounds !!! Mickey and I ROCKED IT !!!!! Rails came down in the show jumpring but by now we all realize that Mickey has figured out that they easily pop out of the cups. A Huge thank you goes out to My sponsors that have helped make this year possible and provide Bidawee farm with the best products and services ever. And also to Julie Hansen, Kurt Martin and Liz Billings for making the trip down to Kentucky to help and support me. 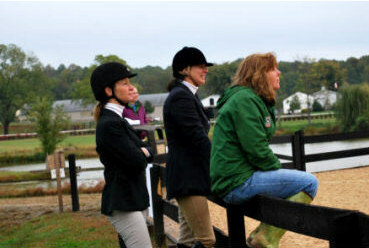 Sharon, Mickey and Sharon’s good friend Julie Hanson headed West for the MidSouth CCI* in Lexington, KY today. 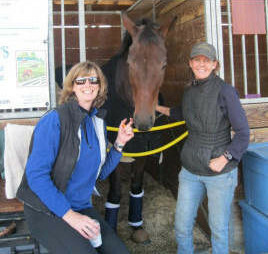 With a little luck and help from all of Sharon’s wonderful support team, all travelers arrived in KY, safely. This time of year offers cold and damp days, so blankets will be in order. Stay tuned for updates on Sharon and Mickeys 2nd 1 star in 2011. 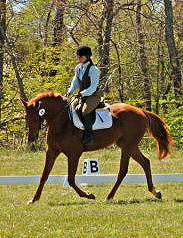 Another Huge thanks to Carla Rollins for giving me the ride on her fabulous baby horse. Some Kind of Wonderful. Jet was a super star again Winning his division against 13 other starters on a dressage score of 29.5 I couldn’t be happier with this wonderful horse !! 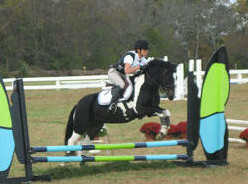 A huge thank you to Carla Rollins for giving me the ride on her fabulous horse Jet. 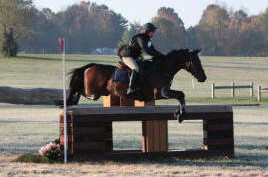 Jet has been back in my barn for the last few weeks to continue his education, and has been doing wonderfully, so we made the Foxcroft HT in Middleburg our goal. 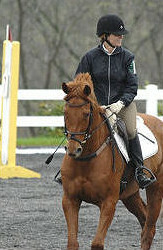 Jet was a star winning his division on a dressage score of 27.5. 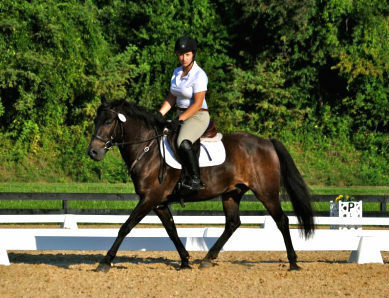 This horse has a very bright future in front of him and I am very lucky to be a part of it. Stay tuned for results as Jets next outing is CDCTA Oct 16th. Ok, so it’s been a little while since my last update but that doesn’t mean things haven’t been jumping here at Bidawee Farm. 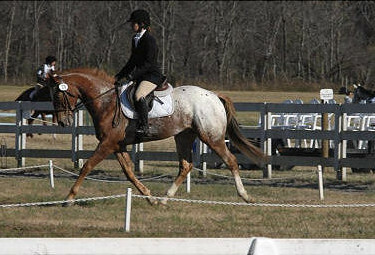 Mickey and I are finding ourselves once again heading towards The International MidSouth Team Challenge CCI*1 star at the Kentucky Horse Park. Emmett my wonderful husband will be holding down the fort at home and as luck would have it, my best buddy Julie Hansen has put her life on hold to come cheer me on and be my right hand man for the 5 day travel and competition dates of October 19th -23rd. Let me start by saying It takes a village to get it all done. 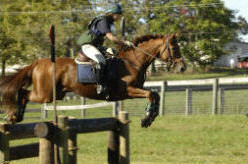 Kurt Martin has stepped up to help Mickey and I get ready for MidSouth and his lesson have been very informative and helpful. Paul Goodness of Forging Ahead has taken over the shoeing department and Dr. Joe Davis of Piedmont Equine is still the go to guy. 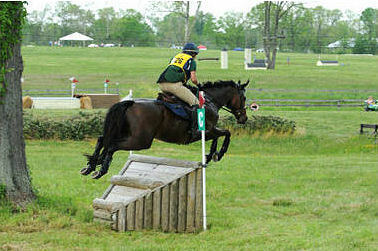 In preparation of the up coming event, Mickey and I have run a couple more Preliminary horse trials to get our groove on. 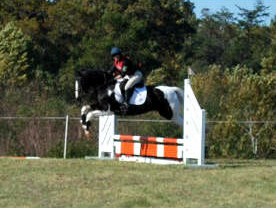 Mickey has risen to the occasion for each outing, putting in a fabulous dressage test with a score of 31.7 and a good effort in show jumping at Seneca Valley HT. 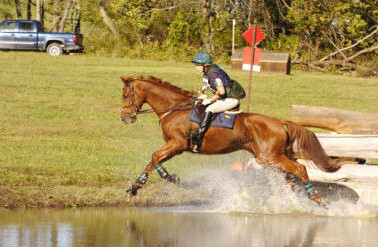 Running a clean and fast XC at The Middleburg horse trails in less than favorable conditions and this past weekend putting in a huge effort with another clean XC at the Morven Park Horse Trial with horrific weather conditions of up to 40 mph winds gusts and sheeting rain. 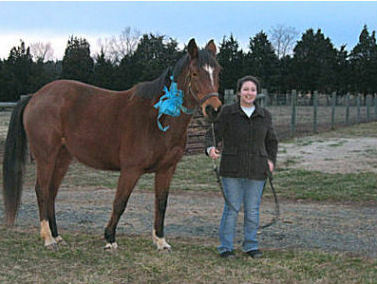 Now it’s time to fine tune and bubble wrap the horse in hopes of reaching our goals. Stay tuned and keep fingers crossed for luck. 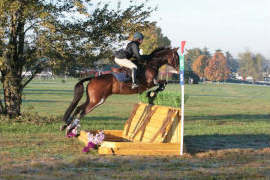 Results and News from March 15, 2010 – August 28, 2011 can be found on our Archived News & Results page. 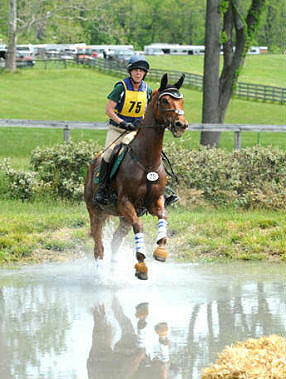 © Copyright 2011-2020 Sharon Miller Eventing. All rights reserved. 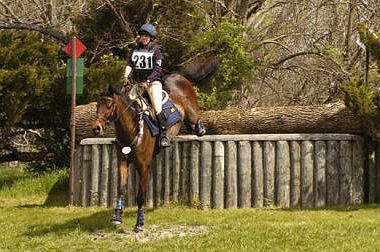 Copyright © 2019 Sharon Miller Eventing. Powered by WordPress. Theme: Spacious by ThemeGrill.